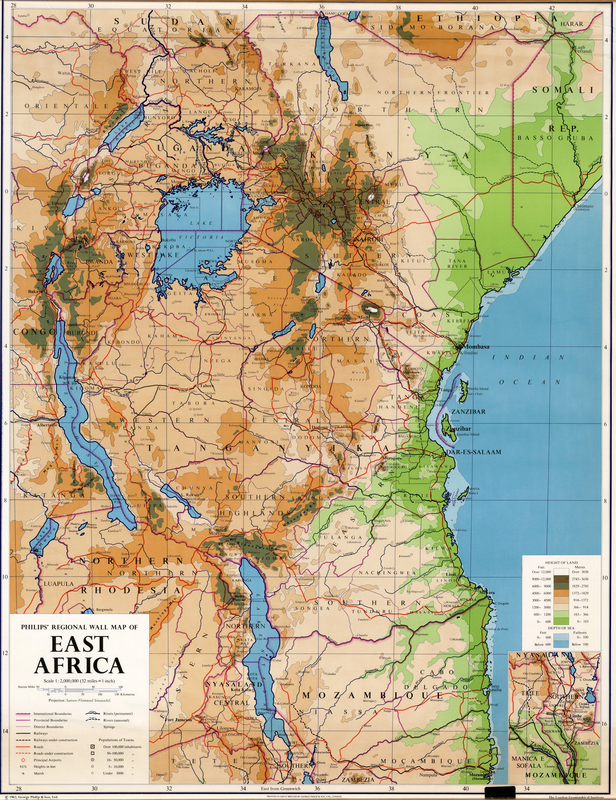 Up until the late 1800s, Africans had been moving into a sparsely populated Tanganyika from the west, south and north. By mid-century the older and newer populations had settled down into recognisable tribal polities, each with its own social and political organisation, language, and customs, but also having similarities based on mutual contact and observation, intermarriage and the mutually beneficial exchange of goods and services. These tribes numbered about a hundred and twenty in total although some of them were very small indeed, numbering hundreds, whilst the larger ones ran into hundreds of thousands. At one extreme were sizeable, centralised mini-states with ruling and administrative hierarchies; at the other were small entities in which, although a wider community of interest was recognised, all authority was simply exercised at village level. Some were autocracies, but most had elements of participatory democracy, with checks on arbitrary rule. Because there was no shortage of land, inter-tribal conflict was less common that is popularly assumed; negotiation was the rule, and hostilities tended to be ritual rather than bloody affairs. There were exceptions; for example the Ngoni, moving up from southern Africa, and having adopted Zulu weapons and tactics, ravaged the south-west until the 1890s, whilst the Masai were similarly in a state of intermittent war with their neighbours in the north-east. The main threat to stability came from outside, with the revival of Arab trade into the interior on the initiative of Sultan Seyyid Said of Muscat early in the Nineteenth Century. Prior to the Portuguese ascendancy in the Sixteenth Century there had been a flourishing trade through Arab ports along the east coast, including traffic in slaves for domestic service in the Middle East. Inspired by the Portuguese use of slaves on plantations in Mozambique, and their export to both the West Indies and the French island colonies in the Indian Ocean, Sultan Seyyid followed suit, whilst also promoting the existing trade for ivory. However, it was in slaves that the greater profit lay, and in 1840 he moved his court to Zanzibar. In the third quarter of the 19th century, slaves were also employed on Arab plantations along the coast, and in Zanzibar. Slave trading within Tanganyika was relatively small in scale, though sufficient to generate inter-tribal enmities. 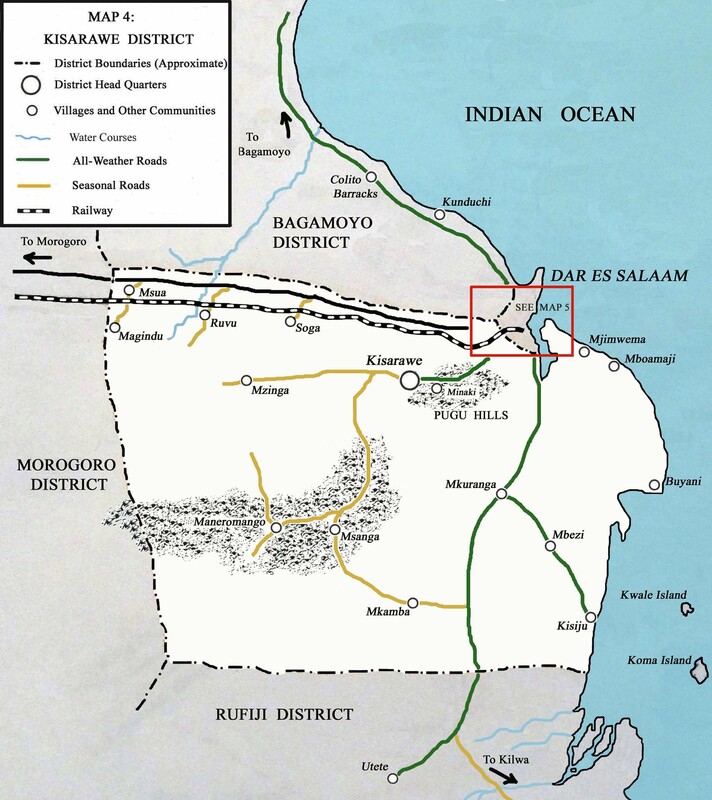 Most slaves were captured or bought in the Lake Nyasa region and in the eastern Congo; the latter were marched down to the coast via Tabora to Bagamoyo, whilst a lesser route ran down to Pangani. 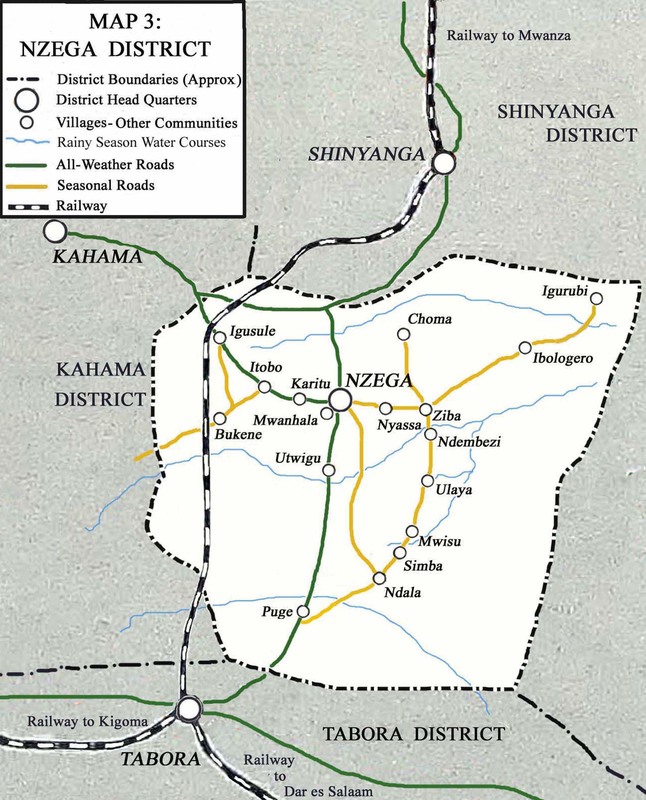 Far more disruptive of the indigenous societies still establishing themselves on the inland plateau of Tanganyika, and of relations between them, was the politics implicit in the control of these trade routes and the adjacent country. 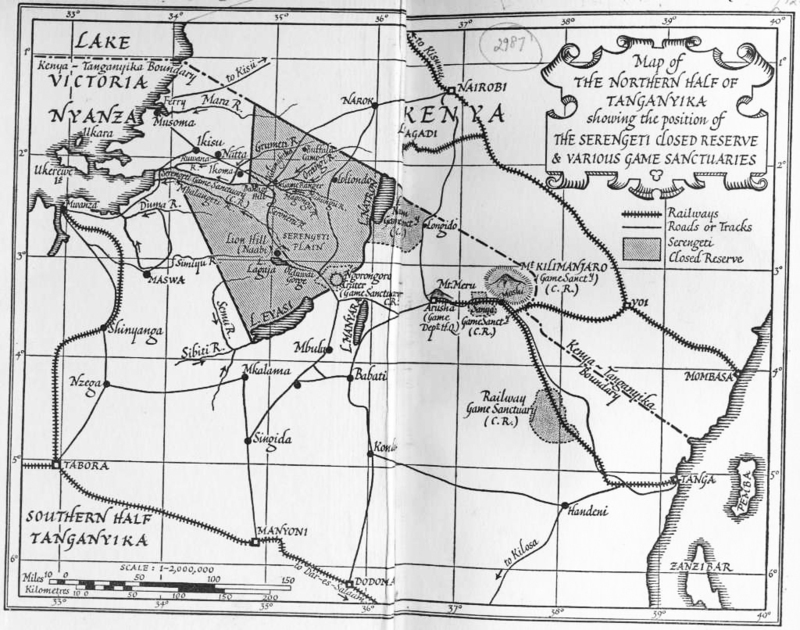 In the last resort they were largely, but not entirely, controlled by the Arab and coastal Swahili merchants; they sought protection and collaboration, and the tribes along and near the routes wanted payment in return, a situation which led to shifting agreements, alliances and tribal warfare as the different parties jockeyed for local advantage. After the 1850s the position became even worse as imported firearms became increasingly available. So it was that early European explorers and traders reported commonplace, though not universal, disorder in civil society. 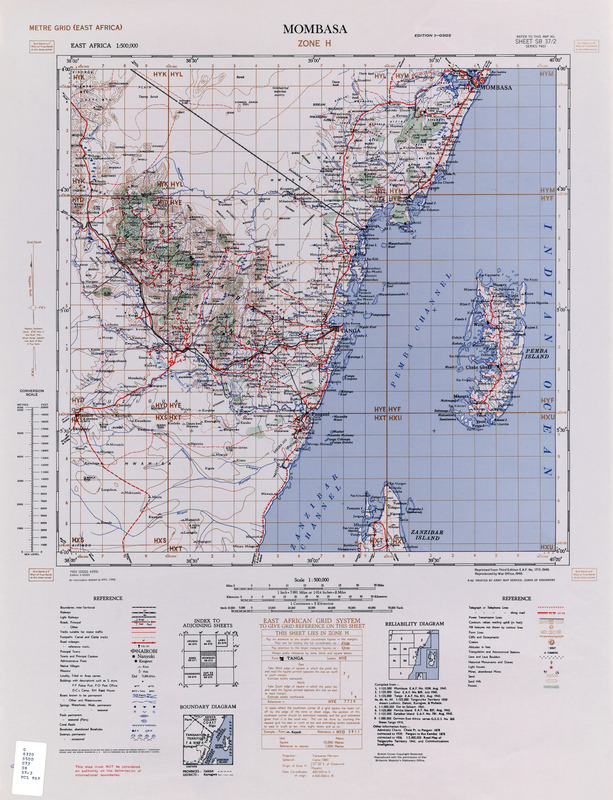 Meanwhile Zanzibar had separated from Muscat, and its Sultan claimed and exercised effective control over much of the coastal strip from northern Kenya to Mozambique. 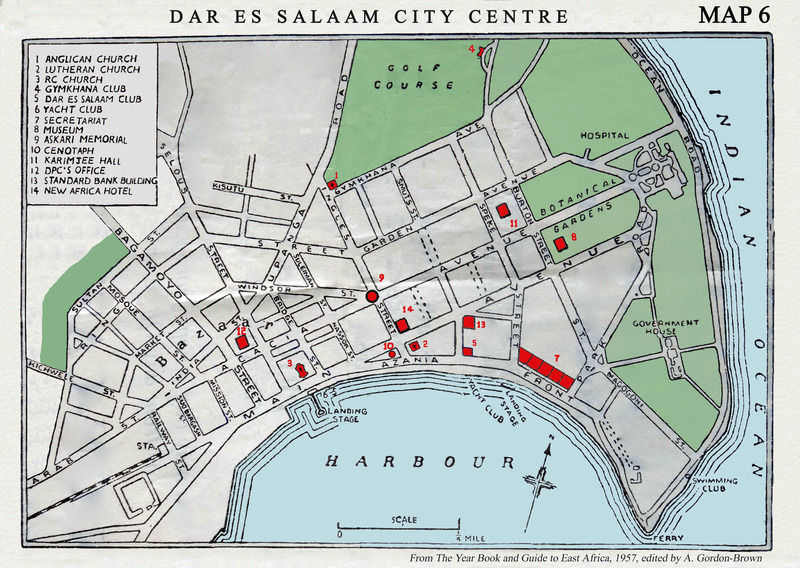 By the last quarter of the century European and American commercial interests were well-established in Zanzibar, not to trade in slaves but to seek commodities for export and to develop a new market. In this context cheap imported cotton cloth from India had an adverse effect on domestic textile production; the final blow came in the form of even cheaper unbleached cotton cloth from industrial America, an import marked in the Swahili vocabulary as merekani. By this time, too, numbers of Indians had established themselves as traders in the coastal towns, and by the mid-20th century dominated retail business and much of the wholesale trade throughout East Africa. 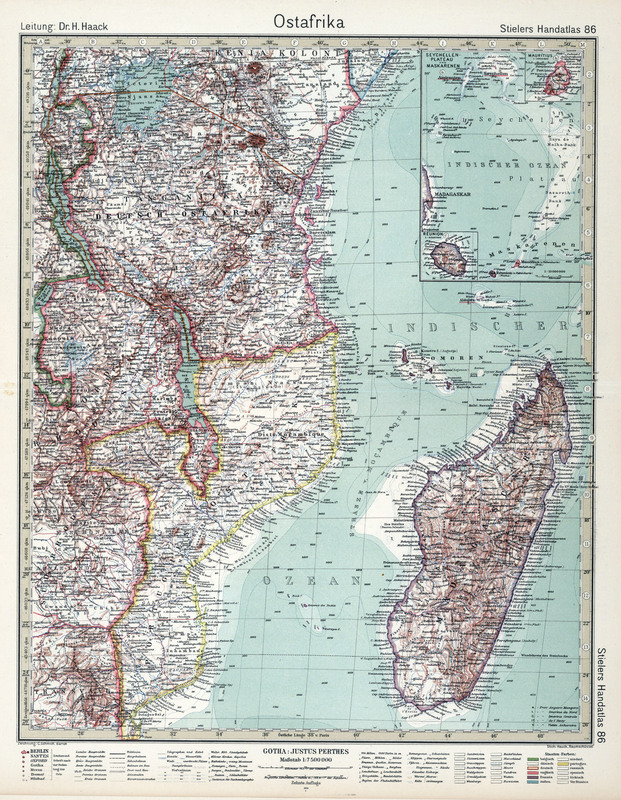 For much of the Nineteenth Century, the British had been content to exericse their power in East Africa through their influence over the Sultan of Zanzibar. This arab island claimed control over large swathes of the mainland in order to help facilitate their slave and ivory trades. 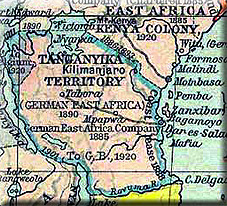 The British were to be surprised by the secret gathering of treaties by Dr Carl Peters of the German East Africa Company as the Germans sought to enter the imperial field in earnest1. 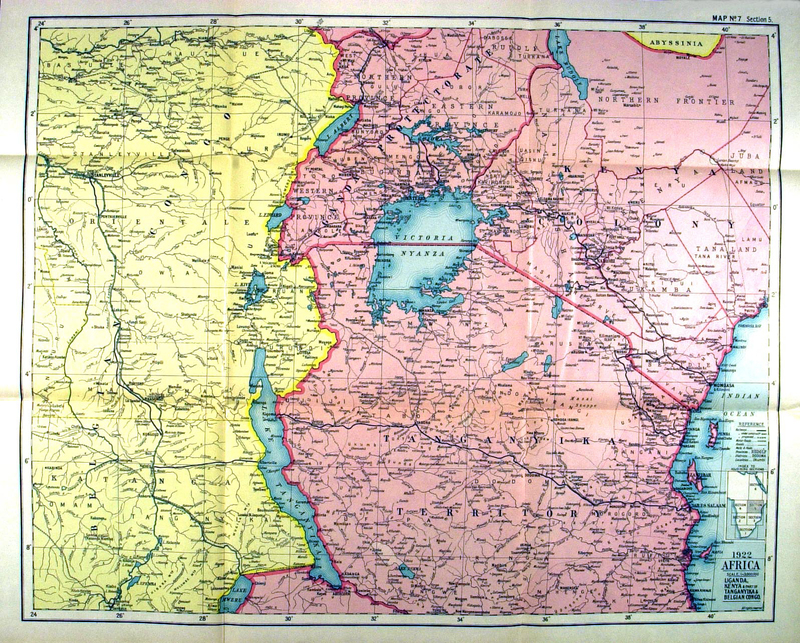 Thereafter, the German government, under Bismarck, took a hand in overcoming Arab resistance to their expanding trading activities, and the Sultan of Zanzibar was forced to abandon his claim to the coastal areas of what was soon to become German East Africa.2 Carl Peters was ultimately rewarded for his efforts by the awarding of German East Africa to his company's control in 1890. 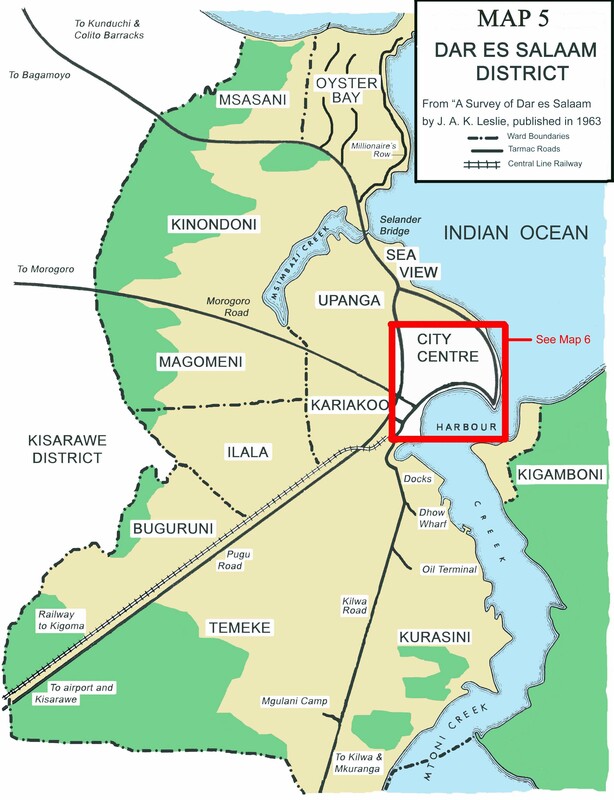 Penetration and occupation of the interior was patchy, and pacification was not complete until the final years of the century with the subjugation of the Hehe under their Chief Mkwawa. The peace was brief, and in 1907-8 the south and south-west erupted in the Maji Maji rebellion, which was put down with conspicuous ruthlessness. 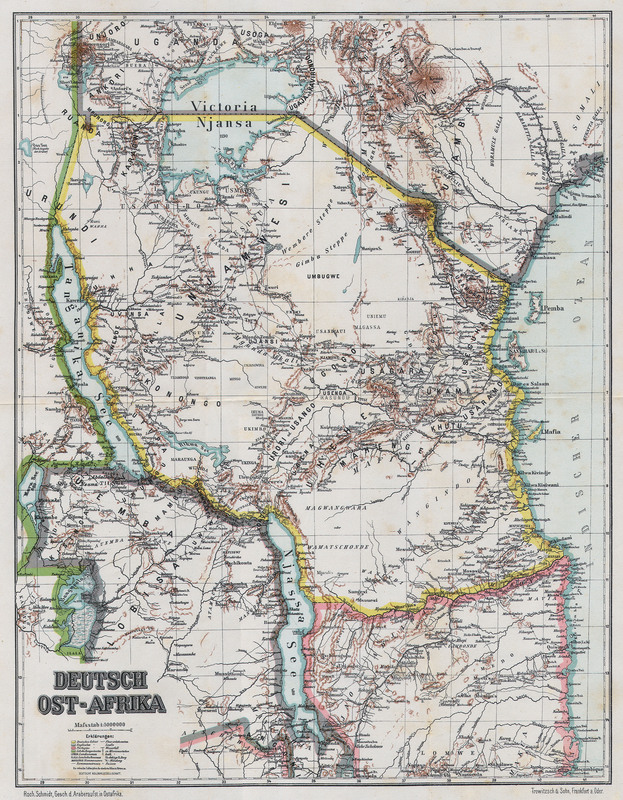 Germany’s administration of Tanganyika always had a strong military flavour, and was dependent on a permanent presence of African troops officered by Germans. 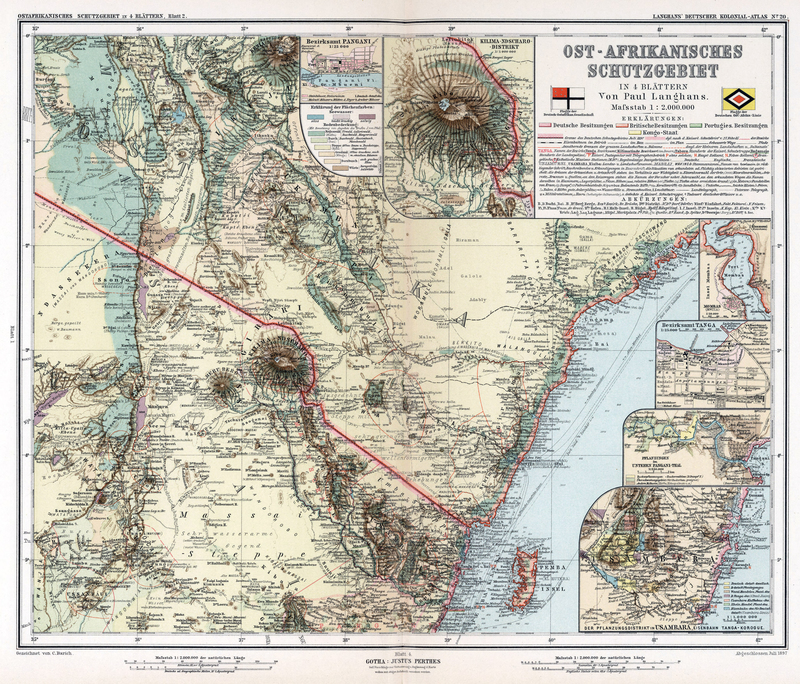 Despite a reputation for thoroughness and efficiency, this German colonial enterprise was still in the red when war broke out in 1914; ironically a major and costly agent of development, the railway from Dar-es-Salaam to Kigoma on Lake Tanganyika, had only just been completed. 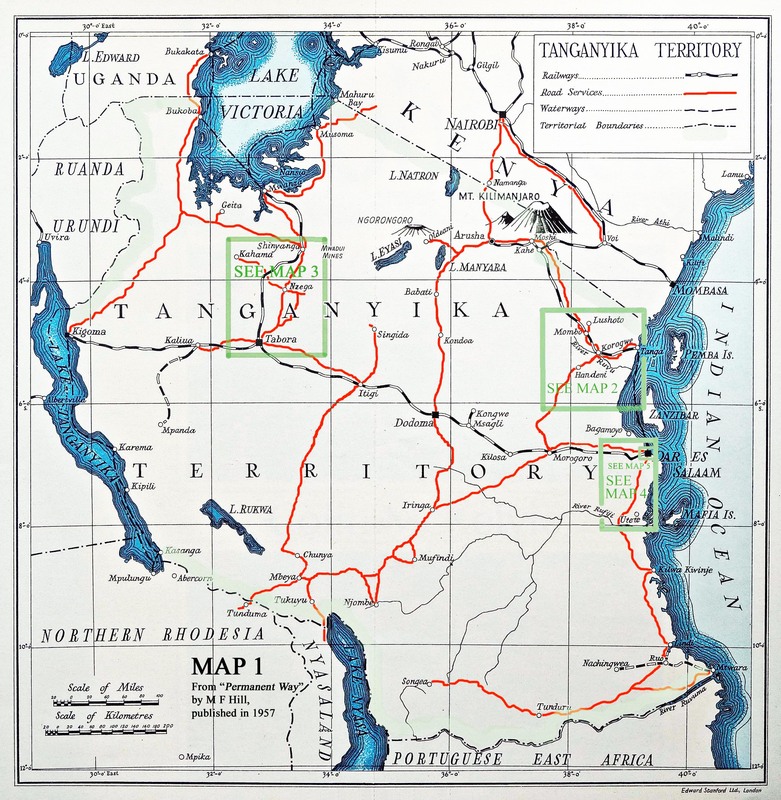 World War One would see Tanganyika become a highly active theatre of war. The British were quick to invade and annex all overseas German colonies. 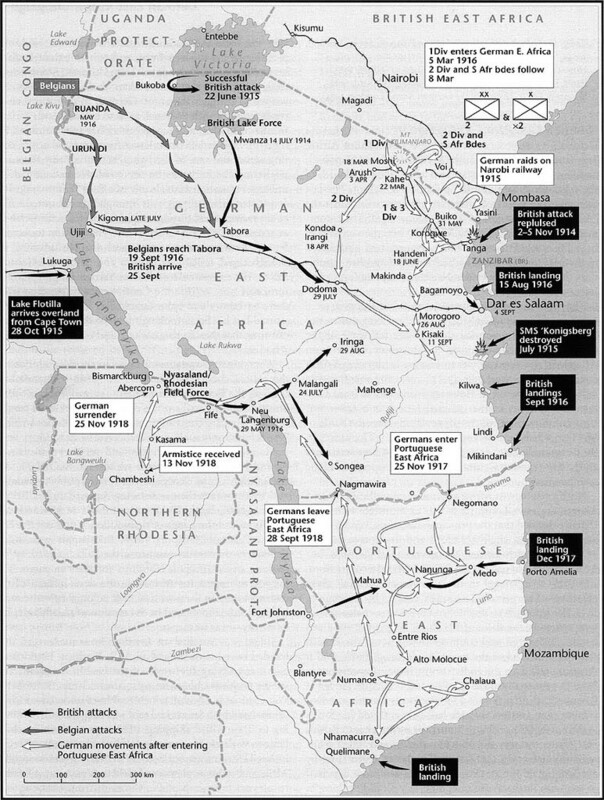 However, the German commander in Tanganyika was to proove much more difficult to subdue than in any of the other colonial theatres of war. Paul von Lettow Vorbeck fought a highly effective guerilla campaign. He tied down huge resources for the British in a highly embarrassing campaign that raged throughout Eastern and Central Africa for the entire duration of the war. In fact, he only surrendered after it had been made clear to him that the Germans had actually already signed an armistice. 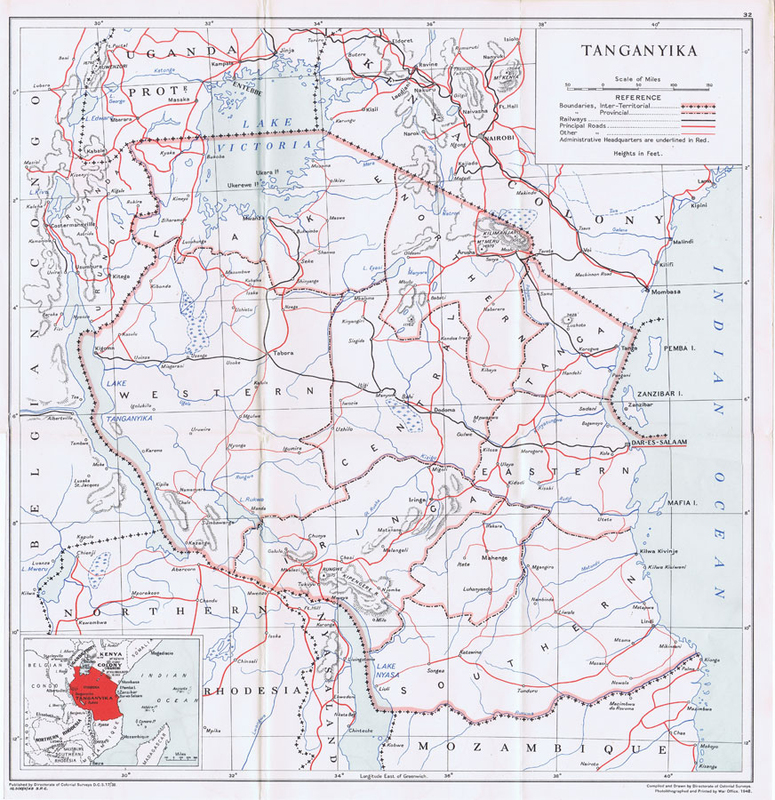 Tanganyika therefore became a British conquest and it was awarded control over the territory as a League of Nations Mandate. 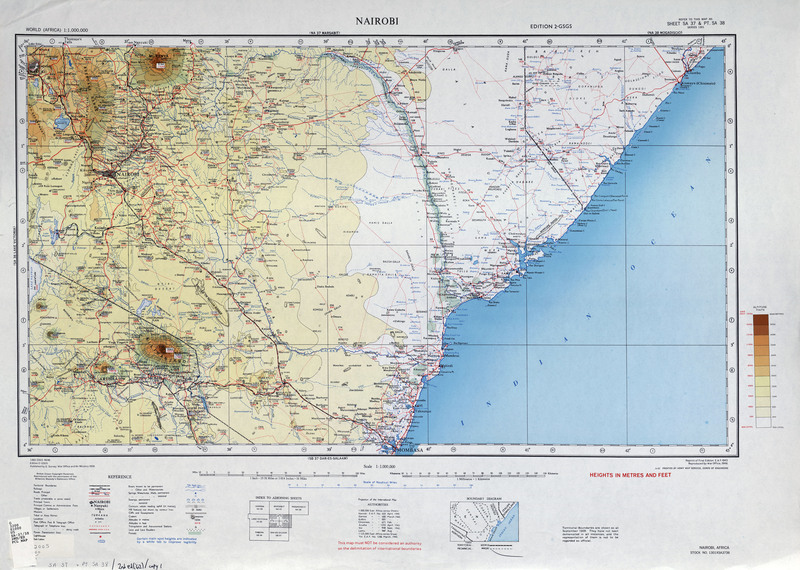 There was some reorganisation of borders finalising the Rwanda border with Belgium and the Mozambique border with Portugal. 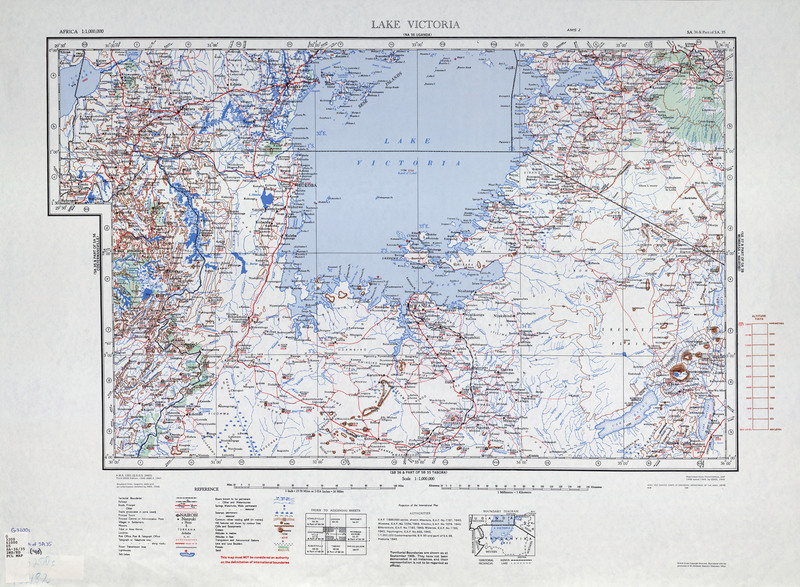 After the war, responsibility for the administration of German East Africa3, was awarded to Britain under a League of Nations Mandate, a fact not unconnected with Britain having been on the winning side. 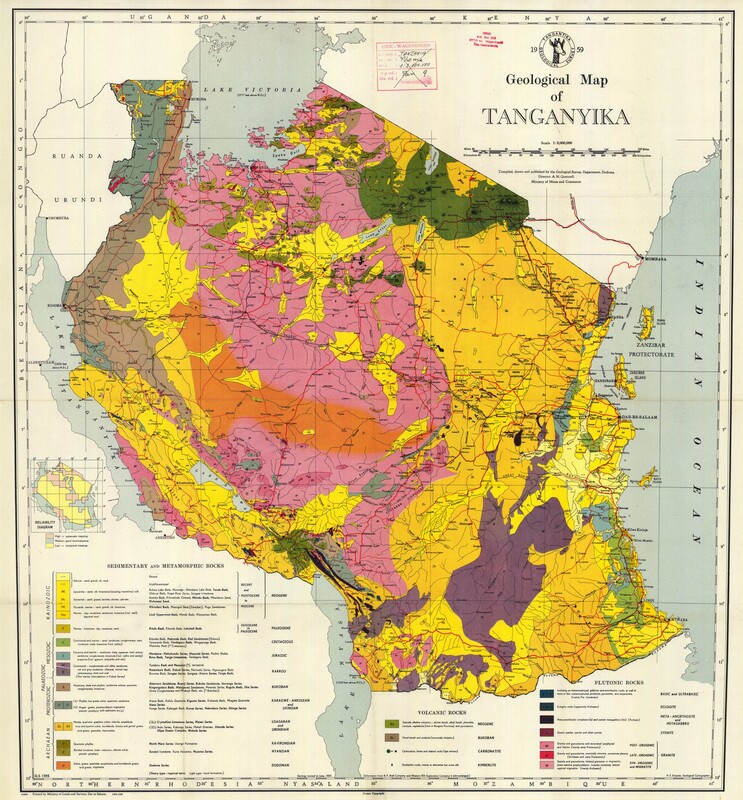 Some fanciful suggestions were made for renaming the new acquisition, but fortunately the then Colonial Secretary insisted on an unambiguously native name; initially designated the Tanganyika Protectorate, this was soon changed to Tanganyika Territory. The terms of the mandate stated that ‘until such time as the native peoples are able to stand by themselves under the strenuous conditions of the modern world... the material and moral well-being and the social progress of the inhabitants forms a sacred trust of civilisation’; in other words a trust to be undertaken by the League and the administering authority. Nothing was said about how soon the inhabitants might expect to be able to stand on their own feet; the principle of eventual withdrawal had been established, but the timing was not yet on the agenda. The League doctrine, largely drafted by Britain, effectively became the basis of future British colonial policy, with the colonies seen as embryo self-governing Dominions within the British Commonwealth. At the time of the Mandate the existence of colonies and protectorates were taken for granted, and their legitimacy was not an issue; in this context the League’s expectations of British administration were modest. Economic expansion between the wars was fitful, attributable in part to the after-effects of the First World War and the 1930s Depression. but also to the current assumption that economic development was a function of private capital, not of governments. It was also British policy that dependencies should, as far as possible, be self-financing. 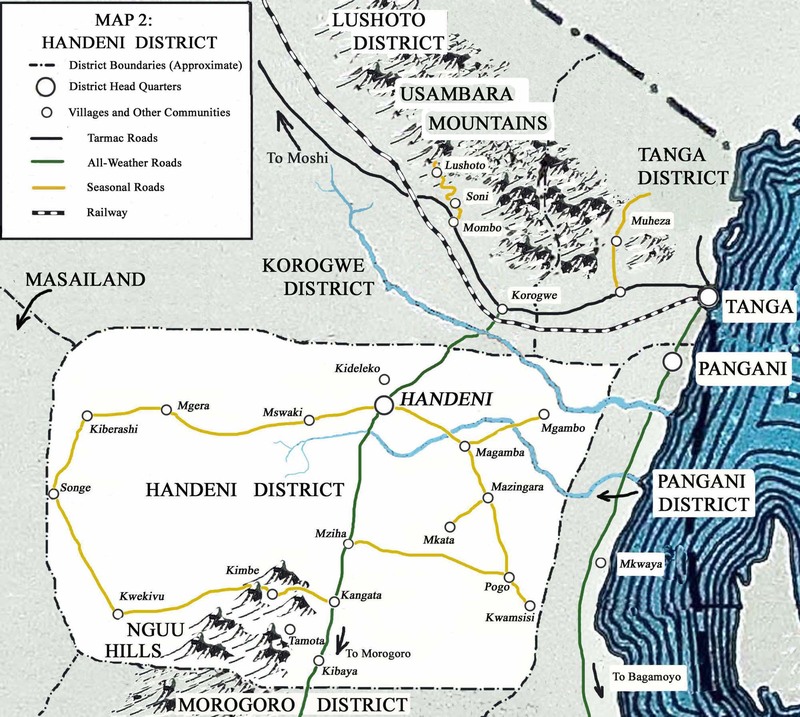 This combination of circumstances meant that the promise of material and social progress referred to earlier was tempered by the limited revenues available to the Government of Tanganyika. These were simply inadequate for the job in hand, and development was slow. 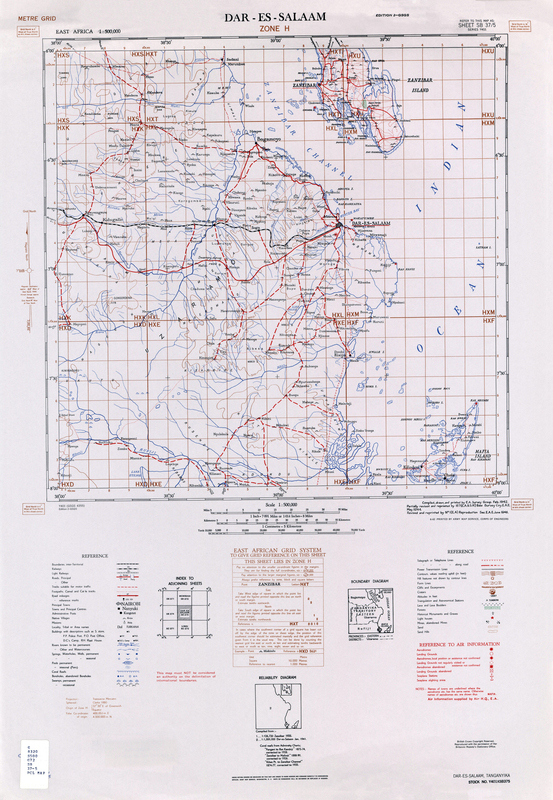 More positively, a system of civil government was set up which had the potential for development on more modern and democratic lines; and at district level, local administration was based on the principal of indirect rule, in which, in varying degrees, authority was exercised by and through indigenous institutions and structures, with the guidance of colonial officials. 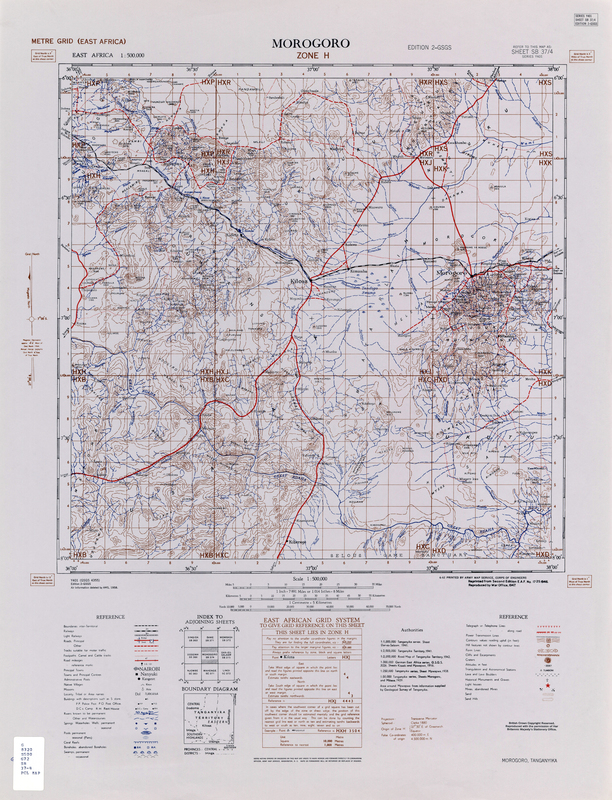 This system had been pioneered in Nigeria and Uganda and had allowed a small administration to control large areas of often densely populated peoples. It was considered a cost effective form of government. As Sir Donald Cameron, an early governor, put it ‘We cannot discharge our obligations (under the mandate) if we do not train the people in the art of administration, (and) to administer their own affairs... the wise and practical course is to build on the … tribal institutions which have been handed down through the centuries. It is our duty to do everything in our power to develop the native politically on lines suitable to the state of society in which he lives... 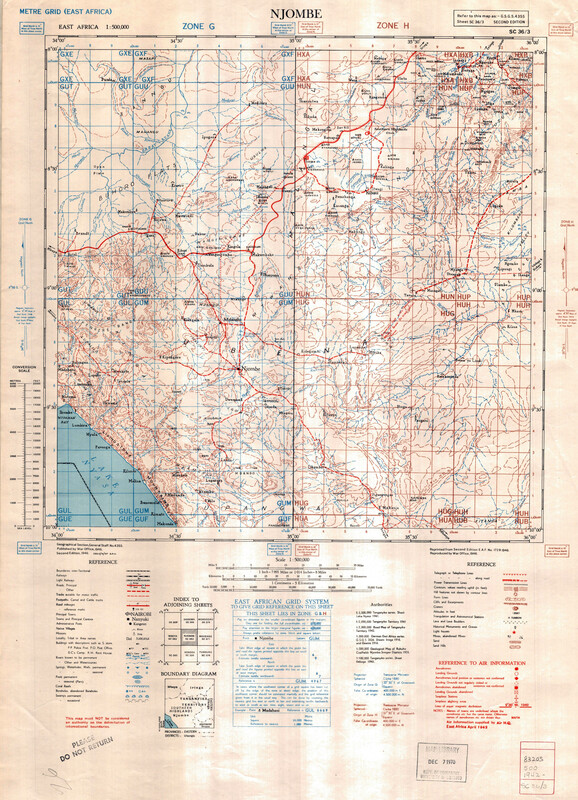 It is an essential factor (of indirect rule) that the government rules through these institutions which are regarded as an integral part of the machinery of government, with well defined powers and functions recognised by law, and not dependent on the caprice of an executive officer.’ In practice, nominally native institutions were in a few areas creations of Arab and German rule, whilst in others they were simply too unsophisticated for modern government and were reinvented out of expediency. Perhaps a more cynical reason for the granting of rights to the Africans was the relative poverty of the colony. The previous German colonists had shamelessly exploited the territory for all that they could and had launched massacres and murders of large scale sections of the population. Tanganyika was therefore a very fragile economy. It could attract little investment and white settlers with access to capital were more inclined to go to those colonies which granted white settler self-government. The depression of the 1930s and its impact on commodity prices did not help the situation either. The northern highlands of the colony were capable of growing some cash crops, but the south was found to be unsuitable for intensive agriculture. The impact of the Second World War was inevitably disruptive of all forms of development, but from 1946 on there was a marked acceleration, reflecting the spirit of the Colonial Development and Welfare Act, passed by the British Government as an act of faith in the dark days of 1940. The Act acknowledged the future rôle of HMG in actively promoting development with an injection of funding from HM Treasury. There was a marked increase in the recruitment of administrative and specialist officers into the Tanganyika Government Service, and there was a significant expansion of education and other forms of social welfare, as well as the economy, in the post-war years. Even the notorious failure of the Groundnut Scheme, dreamed up in Westminster and implemented by the Overseas Food Corporation, had the advantage of putting money into the economy and local pockets. The post war world was also a period of of hope for African nationalists and various independence movements. India was granted its independence in 1947 and Africans were hopeful that similar provisions could be made in their own continent. 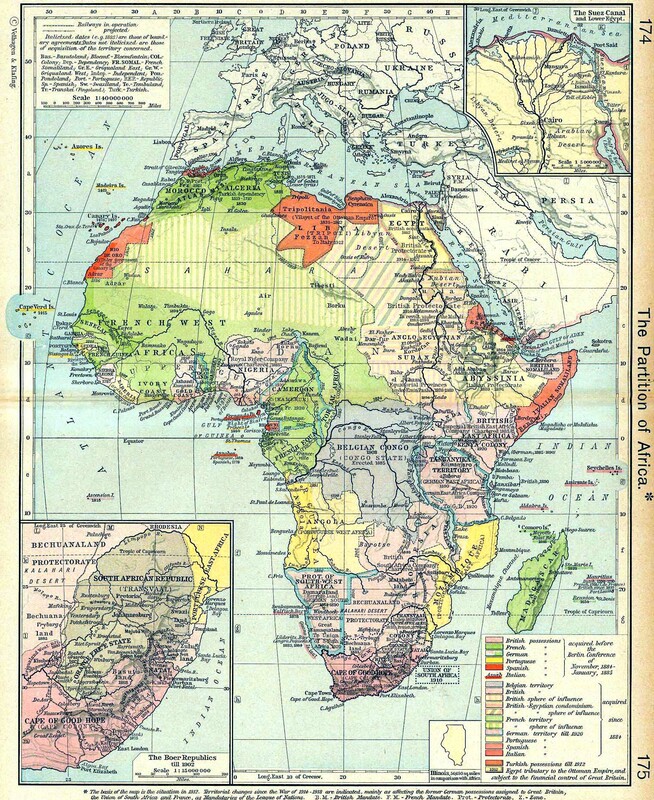 At first, British plans for the relatively under-developed African colonies seemed to be rather slow in emerging. It would take another 10 years before the Gold Coast received its independence as Ghana. Nigeria was not too far behind in getting its independence. These were examples of relatively successful economies at least by colonial standards. The British government was generally content to hand over independence to viable political units although they were wary of being left holding the uneconomic colonies at the end of this process. Tanganyika was firmly in this latter category. They therefore proposed the creation of large federated political units. 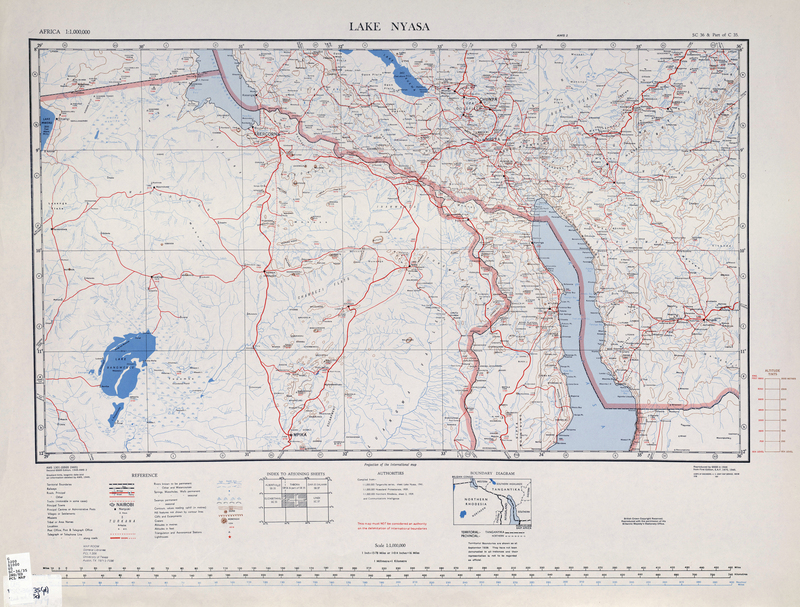 They created the British East Africa Federation in the 1950s combining Kenya with Tanganyika and Uganda. Many black Africans were concerned that this was a scheme designed to prolong colonial rule. 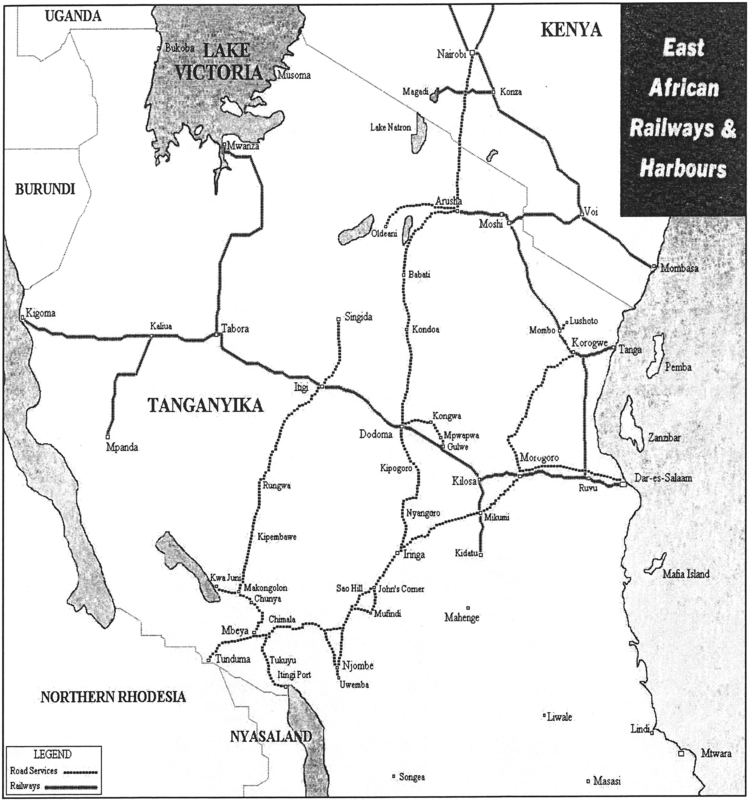 Although the scheme collapsed more because of the violence of the Mau Mau rebellion north in Kenya. Another major change, a direct outcome of the war, was the substitution of UN Trusteeship for the old League Mandate. This was welcomed by the small Tanganyikan political class as being favourable to their aspirations, as was the prospect of a three-yearly UN Visiting Mission to report on various aspects of Britain’s Trusteeship. This pro-active stance of the UN coincided with the growth of an indigenous political movement, which in turn had been stimulated by Africans’ participation in the democracies’ war against the Axis dictatorships, by the anti-colonial attitudes of the U.S.A. and the Eastern bloc countries, and of course the achievement of independence by India and Pakistan in 1947. For many years there had been tribal associations which were primarily concerned with local progress, culture, welfare, and self-help, but which also had a political content which was susceptible to fertilisation and growth. At the centre, the old Tanganyika African Association gave way to the more overtly political and aggressive Tanganyika African National Union (TANU) under the leadership of the young and charismatic Julius Nyerere in 1954. In the same year a UN visiting mission advocated negotiation of a timetable leading to independence over 25 years. The British Government of the day opined that since the country could not possibly be ready for self-government until towards the end of the century, the recommendation was premature, and it was rejected. In the sense that a majority of the rural population – over ninety percent of the whole – were not overtly discontented and showed little obvious sign of sharing the minority wish for early independence, rejection of the UN proposal was not entirely unreasonable. But the outright refusal to even discuss the matter showed a lack of imagination and political acumen. It ensured international criticism, presented TANU with ammunition which it was not slow to use, and initiated several years of unnecessarily aggravated friction between TANU and the Government – and of course its officers in the field. An initiative by the Governor, Sir Edward Twining, for power to be shared equally by Africans, Asians and Europeans, had to be abandoned in the face of African hostility. Nyerere was not having multi-racial government; it had to be non-racial. In principle he was right, though it is conveniently overlooked that TANU itself was for some years open only to Africans, and that its propaganda – most notably in the provinces – had latterly become increasingly racist. In 1958 a new Governor, Sir Richard Turnbull, quickly established a mutual rapport with Nyerere, whose essential moderation he recognised. He also saw, following the partial elections in the same year, that TANU had a virtual monopoly in its opposition to the colonial government; it had no real political opponents to contend with. Negotiations in 1959 were accompanied by the threat of a general strike and civil disobedience, and led to the appointment of a fifth elected minister, and the promise of a general election in September 1960. This would be followed by internal self-government, with a majority of elected ministers. Little more than five years after HMG’s rejection of the UN proposal, TANU was elected by an overwhelming majority, winning seventy of the seventy-one seats. To what extent the electorate was in part influenced by intimidation, and by the wish to be on the winning side, will never be known; but it registered a resounding collective vote for a legislature and government led by Julius Nyerere. 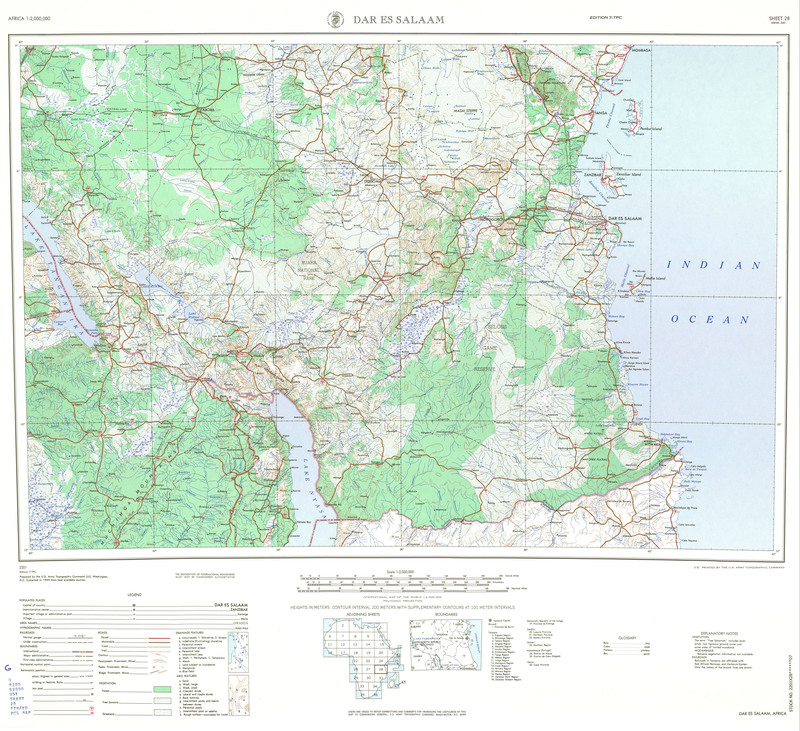 Meanwhile a separate and extended dialogue was taking place between the Governor, Colonial Office, and two successive Colonial Secretaries (Alan Lennox Boyd and Iain Macleod) regarding progress towards independence, with target dates ranging from 1962 to 19684. Early withdrawal would ensure public goodwill and the co-operation of a moderate and respected leader. Conversely, a well-intended delay to allow ministers and senior African officials to gain experience might invite an insurrection led by more extreme politicians than Nyerere, and armed clandestinely by the Communist bloc. On the wider scene, a Conservative administration quite suddenly turned away from its colonial responsibilities and its associated costs and brickbats. With the Gold Coast and Somaliland gone, and most recently Nigeria, the easier and more prudent option was taken. After barely fifteen months of practice in office, Julius Nyerere found himself Prime Minister of an independent Tanganyika. By comparison, Ghana had seven years of internal self-rule before independence. At midnight on December 9th 1961, the Union flags came down and were replaced by the new national flag of black, green and gold. 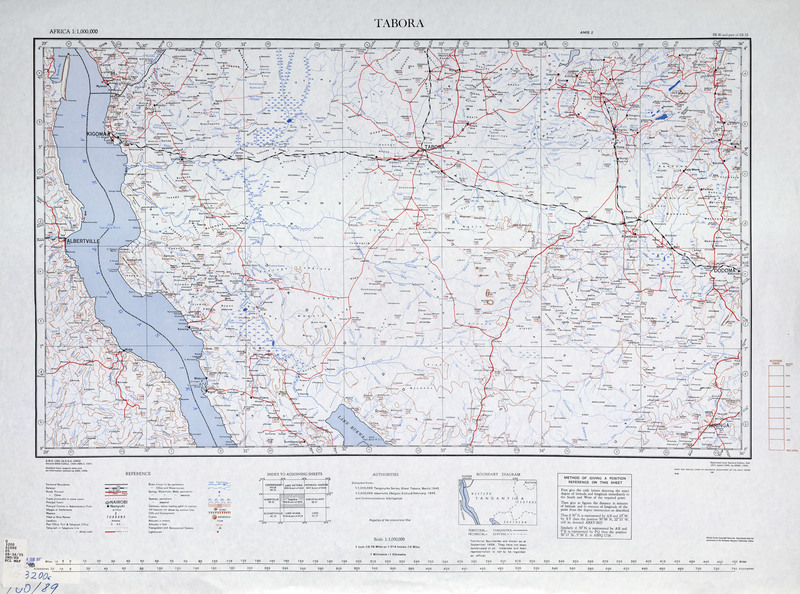 After independence Tanganyika (following union with Zanzibar in 1964, Tanzania) experienced three decades of one-party rule and quasi-Marxist African socialism before turning towards a market economy and multi-party politics. It has been the recipient of massive aid, the population has more than tripled, and it is still one of the poorest countries in Africa. But it got rid of Idi Amin in Uganda unaided, and it is to its credit that a country of its size has held together, and peaceably changed governments from time to time without recourse to military coup or revolution. Don Barton explains the life and responsibilities of a District Officer in the twilight years of the British Empire in Tanganyika. 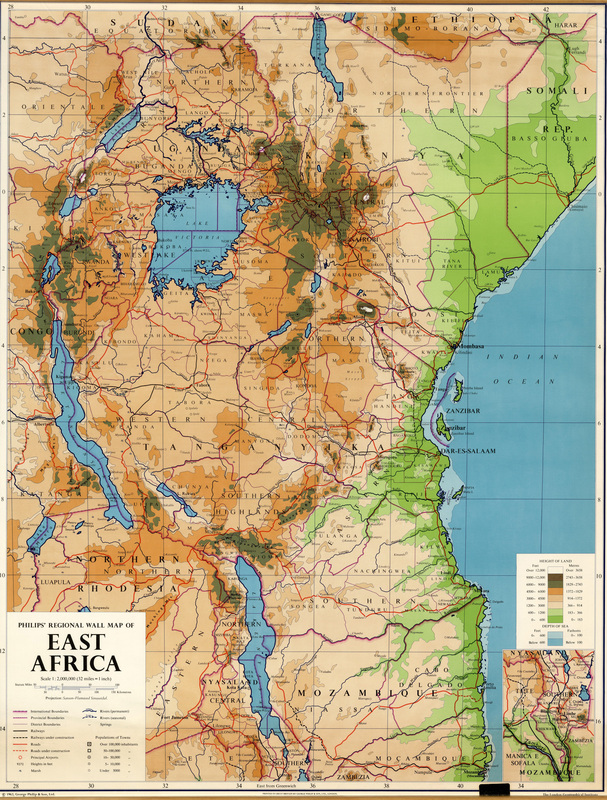 He explains the realities of administrating large swathes of this Eastern African country and the steps undertaken to prepare the country for life after the British left. Betty Riddle describes her long and varied nursing career in Tanganyika in the 1950s and into the post-independence period. She was a trained midwife who worked in every form of medical establishment from the smallest medical centre to the largest hospitals in Dar-es-Salaam. She gives an insight into the challenges of medical care with such basic facilities but with such a wide range of demands and medical issues to deal with.